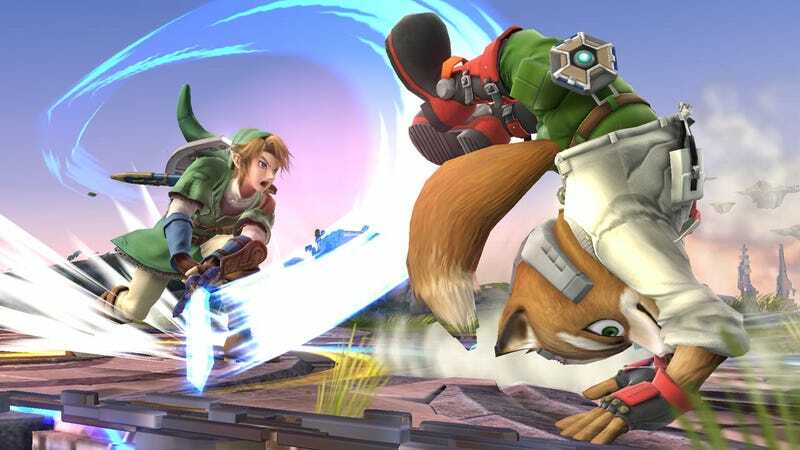 Included in the deluge of Sony executive emails, memos, PDFs and presentations released on WikiLeaks earlier this week is one little nugget that will warm your inner child’s heart: Sony may be trying to nab film rights to the Super Smash Bros. series. On Thursday, WikiLeaks unveiled a new portal for the entire archive of leaked materials from the 2014 Sony hack, many of which, WikiLeaks editor-in-chief Julian Assange claims, are “newsworthy and at the center of a geopolitical conflict.” While the rumor of a Super Smash Bros. movie probably doesn’t rank high on the list of geopolitically-important fallout for the multinational corporation, it ranks pretty high on my personal list of rumored movies that really need to happen right now. According to Ars Technica, several emails back and forth between Sony Pictures co-chair Amy Pascal and film producer Avi Arad reference Nintendo’s fan-service fighting series, including one reference to a “full court press” about the series, and a “five year chase” of trying to lock down film rights to characters in the Mario, Zelda, and Donkey Kong series.